In previous years Nikon introduced several point-and-shoot cameras aimed at the consumer market. At CES 2018, the company only announced a pro-level 180-400mm lens. New year, new gear — so, what does camera technology have in store for us in 2018? Features like 4K video, wireless connectivity, and high megapixel counts are now the norm, while traditional point-and-shoots have differentiated into just three categories — superzoom, large-sensor compact, or waterproof — with smartphones accounting for the larger part of the casual photography market. In truth, today’s cameras already offer a dizzying array of features and performance, so where do they go from here? After speaking with industry analysts and peers, scouring through update schedules, reviewing patents, and making educated guesses, we have created a list of the consumer camera tech trends to watch out for in 2018, as well as a wishlist of things we would like to see. Last year, the number of new cameras introduced into the market fell by 39 percent compared to the year before, leaving just 35 new cameras hitting the market, according to data from Gap Intelligence. While the number of new cameras is falling, the focus is now on higher-end models. This is evidenced at the recent CES Show, which traditionally has been a venue for new point-and-shoot cameras; the traditional camera industry barely made a peep at the 2018 convention. A drop in low-cost point-and-shoot cameras is bringing the total number of new products down, but as several companies focus more on the higher-end market, that drop is balanced by more pro and enthusiast level options. While budget point-and-shoots have largely been replaced by smartphones, the category hasn’t gone away completely. Compact, fixed-lens cameras that offer big zoom ranges, larger sensors, and ruggedized builds still have their place, and we’ll continue to see them from camera makers. Handheld camcorders have also experienced a drop and will continue to do so, but the category has been rescued by the rise of the still-nascent 360 category. Of the 74 new camcorder models announced in 2017 (just three more than in 2016), 360-degree cameras accounted for 22 percent. The number of new action cameras have also increased. While some brands are shifting their focus to the higher-margin enthusiast and professional markets with better sensors and faster processors, others are steering innovation in the direction of software. If 4K is available, why not allow for 1080p crops that mimic professional video motion effects? 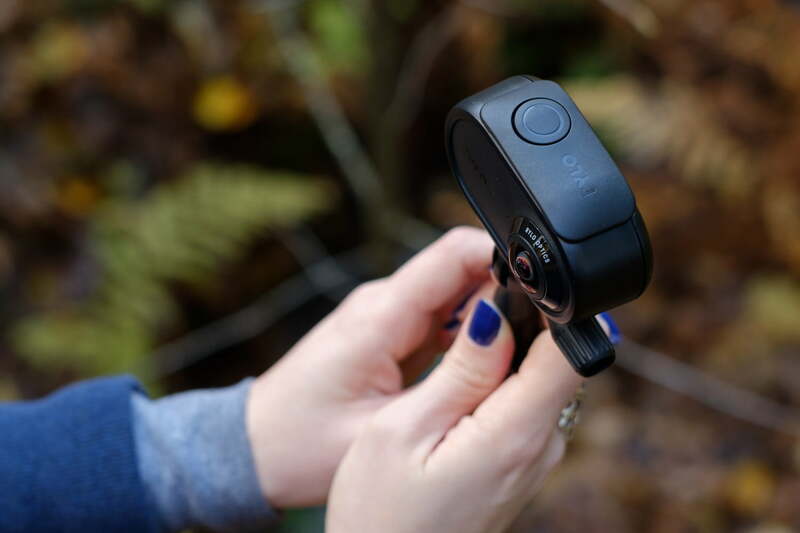 If 360-degree cameras can capture an immersive view, why not let users crop to a standard fixed-perspective while following the action as if the camera were mounted on a motorized gimbal? In fact, both features already exist. The new Panasonic Lumix GH5S can add motion to a 1080p crop of 4K video, and GoPro’s official launch of OverCapture for the Fusion 360 camera adds powerful tools for crafting a cinematic masterpiece from spherical video. Building a software-first camera was also the approach taken by Rylo, the startup behind the consumser-focused 360 video camera of the same name that offers OverCapture-like editing to an even friendlier price point. Hardware limitations be damned. Some of the biggest camera launches in 2017 boasted big speed improvements — a trend we expect to continue into 2018. Last year, the Sony A9 showcased how mirrorless cameras can now offer speed advantages for sports and wildlife photography, shooting up to 20 frames per second with no viewfinder blackout. The Nikon D850 and Sony A7R III combined high resolution and fast shooting speeds, responding to one of the few complaints about their predecessors. Camera speed is about more than just frames per second, however. For video, the electronic rolling shutter on today’s CMOS cameras can distort the image when there’s too much motion, either on the part of the camera or the subject. Global shutters prevent blur from fast moving subjects but have been cost prohibitive to implement in the consumer market. Fortunately, new research and development may lead to a cost effective solution to this problem. Canon published research on new global shutters in 2016, which could eliminate the phenomenon from DSLRs with CMOS sensors. Sony, meanwhile, introduced four new compact sensors with global shutters last year; while they are for industrial applications, we could see them trickle over to the consumer front. Megapixels were once the defining metric of a digital camera, but consumers are realizing that there’s more to image quality than just packing as many photoreceptors as possible onto a sensor. 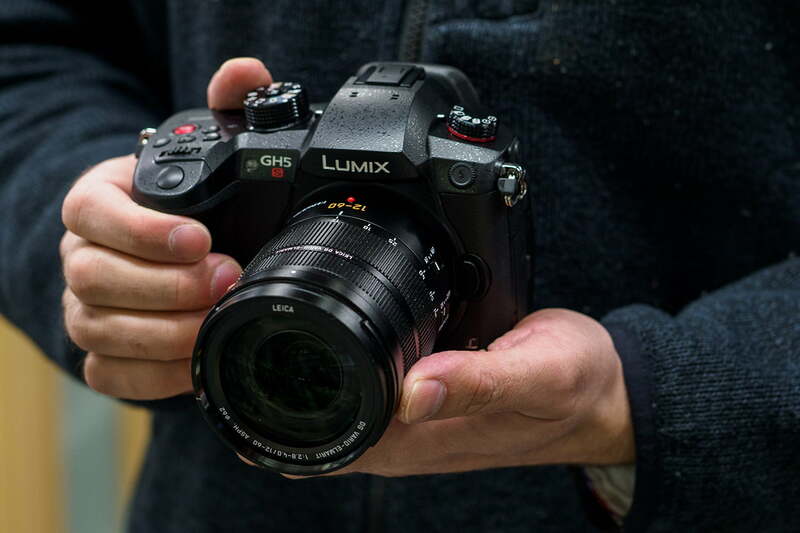 In fact, the first major camera launch of the year, the Panasonic GH5S, cuts the megapixels in half in order to enhance low-light video performance. Nikon made a similar move with the D7500, dropping form 24 to 20MP to improve high ISO performance and increase speed, simultaneously. Sony’s stacked sensor technology, once reserved for smaller 1-inch-type sensors in advanced point-and-shoots, made its way to full-frame cameras last year. Back-illuminated sensors, which offer improved low-light performance, also gained new ground in the professional market with the Nikon D850. Panasonic has previously published research into sensors capable of capturing a wide dynamic range, for example, which is one of the few areas where the smaller Micro Four Thirds format still lags behind its APS-C and full-frame peers. Technology like organic sensors has now been in the research pool for several years, and while there’s no sure sign 2018 will bring a consumer version, we wouldn’t be particularly surprised to see them surface, considering the first organic sensor was made five years ago.